We are excited to announce the winners of the Anticipating Climate Hazards Contest, held in collaboration with the UN Climate Resilience Initiative: Anticipate, Absorb, Reshape (A2R)– a global multi-stakeholder initiative aimed at accelerating action on the ground to enhance climate resilience for the most vulnerable countries and people by 2020. 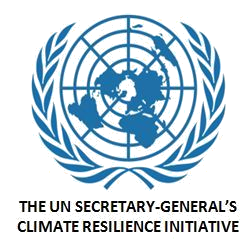 In September 2016, alongside the High-Level Launch of the Leadership Group of the UN Climate Resilience Initiative held in New York City, the Anticipating Climate Hazards contest was launched– as the first in a series of contests hosted in collaboration with The UN Climate Resilience Initiative: Anticipate, Absorb, Reshape. This contest focused on the first pillar of the UN Climate Resilience Initiative, “Anticipate,” which emphasizes early warning systems & responses in preparing for climate extremes. It aimed to source innovative proposals on how vulnerable communities could best increase preparedness to climate-related hazards, and tools to incentivize early warnings and actions. From the 95 proposal submissions entered to the contest, issue-expert Judges evaluated the proposals and selected 19 Semi-Finalists. From among these, the Judges selected 5 Finalists, which were opened to a public voting period–where the global crowd was engaged in selecting their favorites. From these, the contest Judges selected the Judges’ Choice Winner, a proposal focused on helping a particularly vulnerable community–the deaf community– in preparing for and responding to climate hazards. This proposal was submitted by the Philippine Dumaguete Effata Association of the Deaf, Inc. (DEAF), a non-profit organization dedicated to the educational and social welfare of Deaf people. Read more about the Judges’ Choice Winner on UN Environment. The Judges felt this proposal was well-anchored in the disaster risk reduction and management (DRR/M) approach for anticipating climate extremes, and to the “Anticipate” pillar, yet also exhibiting linkages to the “Absorb” and “Reshape” (pillars 2 and 3) of the A2R Initiative. They also noted that Persons with disabilities (PWDs) are recognized globally to be particularly vulnerable in disaster situations resulting from natural calamities, as evidenced through the recent Sendai Framework for Disaster Risk Reduction. The Judges’ Choice winner will receive the contest prize–an opportunity to meet with the UN Climate Resilience Initiative’s Leadership Group— some of the world’s leading experts on climate resilience. The Volunteer Network Management System and Lifetowers (VNMS) proposal aims to strengthen a well-coordinated pre-emptive response to mitigate the impacts of disaster. Read more about the Popular Choice Winner on UN Environment. Both awardees will receive wide recognition from the UN Climate Resilience Initiative and Climate CoLab. Please join us in extending our congratulations to these proposal authors, along with all the contest’s Semi-Finalists and Finalists. 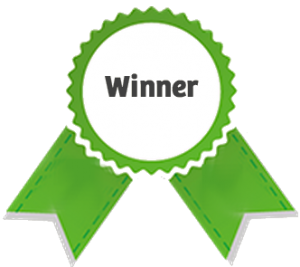 We additionally would like to thank the UN Climate Resilience Initiative Support Team, UN Environment, Food and Agriculture Organization of the United Nations, and the contest Advisors, Judges, and Fellows for their significant contributions to the Anticipating Climate Hazards contest.